There are two parts to adding labels: getting them to display the correct thing, and - more challengingly - getting them to appear in the right place! 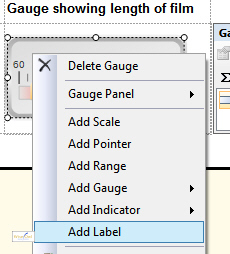 Right-click on a gauge and choose the menu option shown to add a label to it. 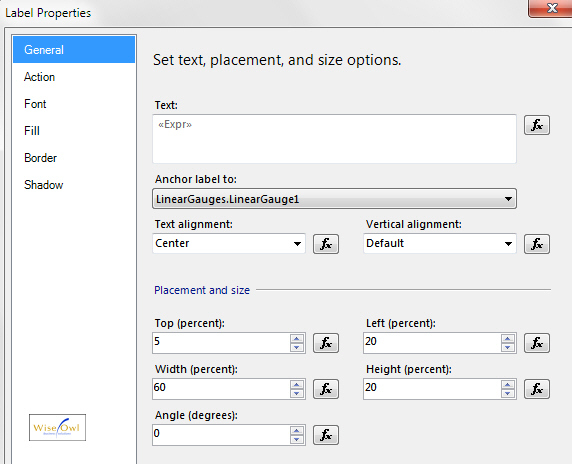 You can drag a label around, or right-click on it to change its properties. 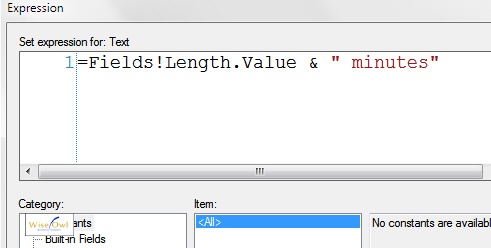 Right-click on a label to show its properties, as here. Here the label will appear 5% of the height of the gauge down from the top of it, and 20% of the width of the gauge in from the left. By setting the width of the label to 60% of the width of the gauge, it will appear centre justified on the gauge horizontally. 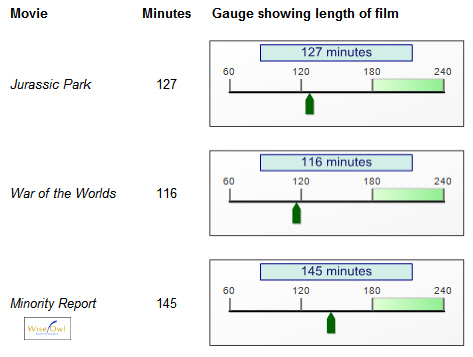 The formula gives the length of a film as (eg) 120 minutes. Note that a gauge can have more than one label.